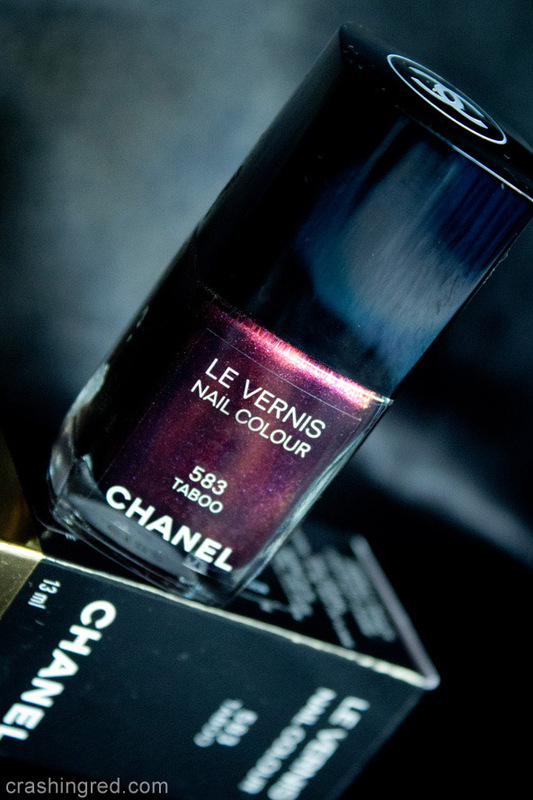 I simply had to share this new stunning Chanel nail polish with you lovelies. 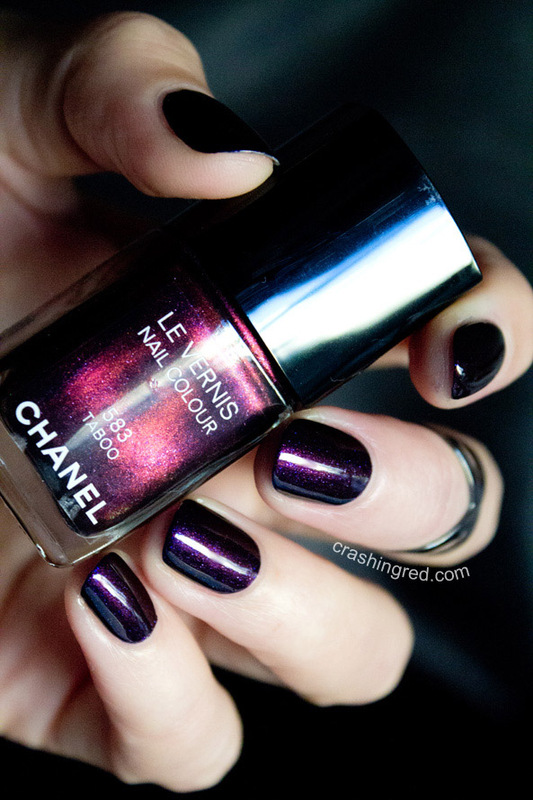 I know I know, I have SoNailicious to write about polishes but… this one is Chanel and it’s fabulous! Plus, I’m not even sure how many of you know where all the nails from CrashingRed went? Imagine my surprised face at the recent ProBlogger conference when a couple of fellow bloggers asked me if I knew who writes SoNailicious… Well, hellooo, it’s me! I even published a book about nails. Anyways, back to Chanel. It has become a bit of tradition that every birthday, I buy myself a little Chanel something. Happily almost every year they release a new shade. There was Peridot and then there was Graphite. This year it’s Chanel Taboo! 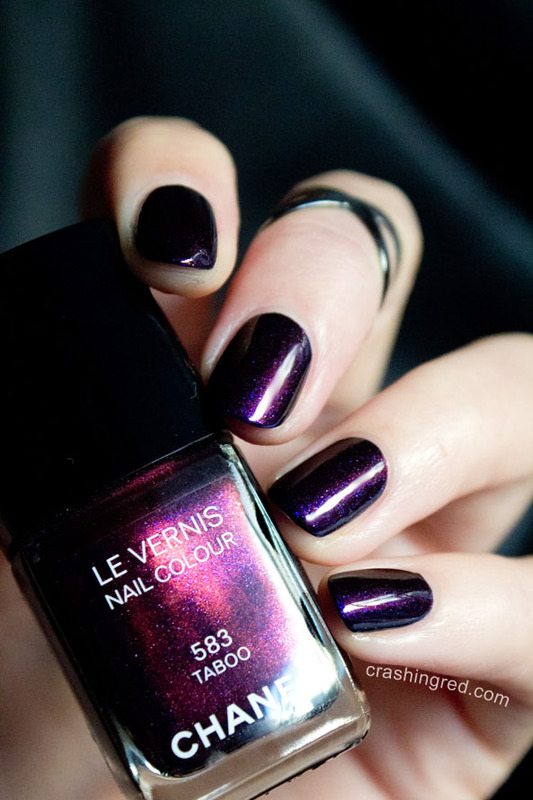 A stunning rich, red vine shade with purple shimmer and bright red undertones that sometimes looks like almost black and sometimes dark purple. It’s summer in Australia but as someone who doesn’t mind wearing black nails on a hottest day, I anticipate I’ll get a lot of mileage out of this one! 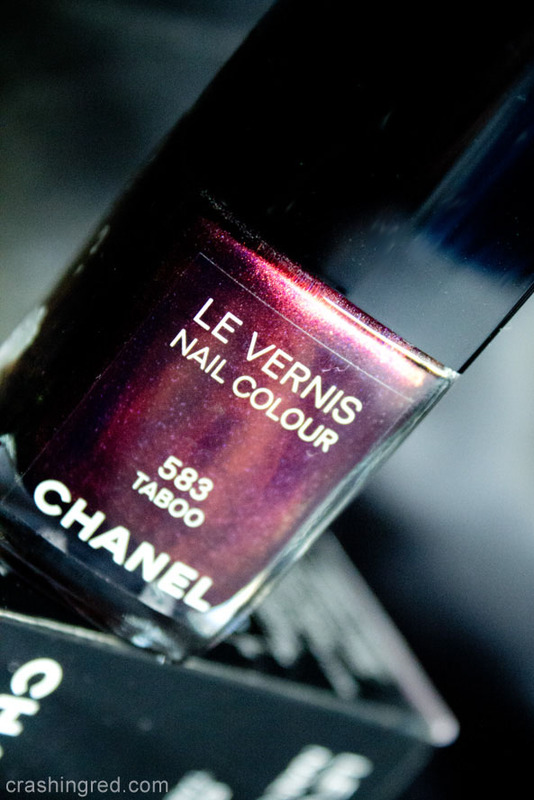 If you want to own Chanel Taboo too, get it here. Or, if you want to have nice nails like that check out nail care tips on SoNailicious. PS. Next week I’ll be showing you photos from an exciting project I’ve been working on this month. So make sure you come back to check it out, starts next Monday! PS. I bought a matching lipstick too Rouge Coco Shine 81 Fiction – yet to try it! 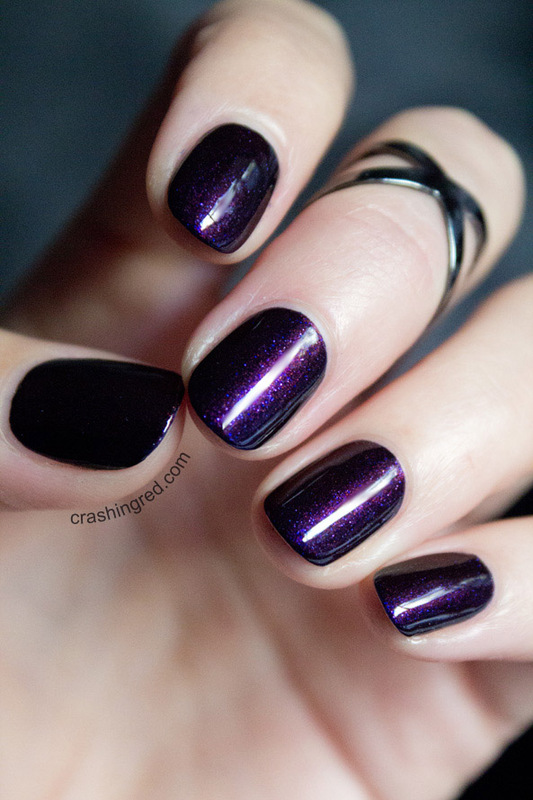 That is such a beautiful metallic shade! :) I tend to wear dark colours in the warmer months too, although I wear them a lot more often in winter.